Are QPRTs a Good Option Today? Is a Qualified Personal Residence Trust (QPRT) a Good Option Today? A qualified personal residence trust—QPRT or “Q-pert” for short—provides a way for homeowners to avoid having the full value of their properties count toward their estates for estate tax purposes when they die. But these trusts might have outlived their purpose…at least for the time being. How Does a QPRT Work? When you create a QPRT, you name a beneficiary or beneficiaries to eventually take ownership of your home. You then transfer your house into the trust’s ownership for a designated period of time. You can continue to live in the residence throughout this time period, but then, when the term expires, you would effectively become your beneficiary’s tenant. Your beneficiary is the home’s new owner. You must begin paying rent at fair market value in exchange for living there. In exchange for all this, your home's fair market value won't contribute to the overall value of your estate. Its value is discounted for estate tax and gift tax purposes. The money you pay in rent gradually reduces the value of your estate as well. And transfer taxes on the exchange are typically less than they would be otherwise. Your home will count toward the value of your estate anyway at its current fair market value if you should die after you’ve transferred your property into the trust, but before the time when you must start paying rent. You would have gone through all this trouble for nothing. And if you do live long enough to begin paying rent? Keep in mind that it’s taxable income to your beneficiary. QPRTs are generally irrevocable. You’re more or less locked in for life when you sign on the dotted line, although in some cases you might be able to have the trust declared void if you don't begin paying rent when you're supposed to, or if you otherwise don't perform according to the QPRT's terms. QPRTs served more of a purpose decades ago when the estate tax exemption was significantly less than it is in 2019. Back in 1990, the exemption was set at just $600,000. Estates valued at more than this amount would pay an estate tax on the overage. A pricey piece of real estate could eat up a big chunk of that exemption, even at 1990 values. The estate tax exemption was $5 million in 2011, and it stayed in that neighborhood through 2017, although it went up a little each year because it’s indexed to keep pace with inflation. Then, in 2018, the federal estate tax exemption more or less doubled to $11.18 million under the terms of the Tax Cuts and Jobs Act (TCJA). It’s up to $11.4 million for those who die in 2019, and it’s going to stay in the $11-million-or-so range through the end of 2025 when the TCJA is set to expire. Then it could revert to somewhere in the neighborhood of $5.5 million again if Congress doesn't act to renew the law. For the time being, at least, the whole concept of QPRTs has become more or less moot. There’s little sense in creating a trust and taking an irrevocable step that you can’t easily undo unless you own such significant real estate that it will push your estate over the exemption amount in the year you die. If you have a $300,000 home and your net worth isn't in the $11 million range, a QPRT won’t serve much of a purpose. On the other hand, if your home is worth $5 million, a QPRT might be something you'd want to think about, especially as 2026 draws near. Of course, estate taxes don’t only happen at the federal level and this can change the situation somewhat. 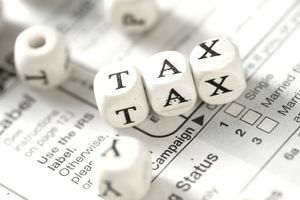 As of 2019, 12 states and the District of Columbia impose an estate tax as well. Some of them—the District of Columbia, Hawaii, Maine, Maryland, and New York—have adopted the federal exemption amount, so you should have plenty of wiggle room there, at least as long as the TCJA remains in effect. But other states’ exemptions are stingy, so your estate could easily top the threshold if your real estate is particularly valuable and located in one of them. Connecticut plans to increase its exemption to match the federal exemption in 2020, and Minnesota’s exemption is scheduled to increase to $3 million in 2020. New Jersey repealed its estate tax in 2018, but that state of affairs might not last forever. Washington isn’t expected to even contemplate an increase until 2025. Funding your home into a QPRT makes more sense if you’re living in Oregon or Massachusetts than if you live in a state without an estate tax…or even in one of those that have matched the federal exemption. And, of course, the value of your other holdings factors in as well. Always consult with an attorney for the most up-to-date advice. The information contained in this article is not intended as legal advice and it is not a substitute for legal advice.